+ + +: Betty Draper. 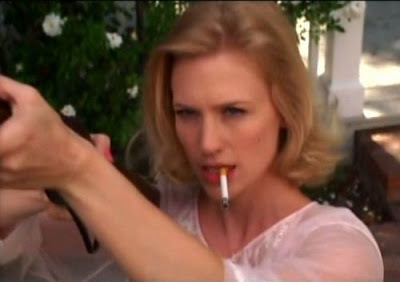 My girl crush of the moment is January Jones as Betty Draper on the hit show Mad Men. Seriously the scene of her shooting the neighbor's pigeons needs to be made into a poster. completely agree. thanks for at least giving me this shot!